Charlotte Tilbury makeup is like a gift from the gods. 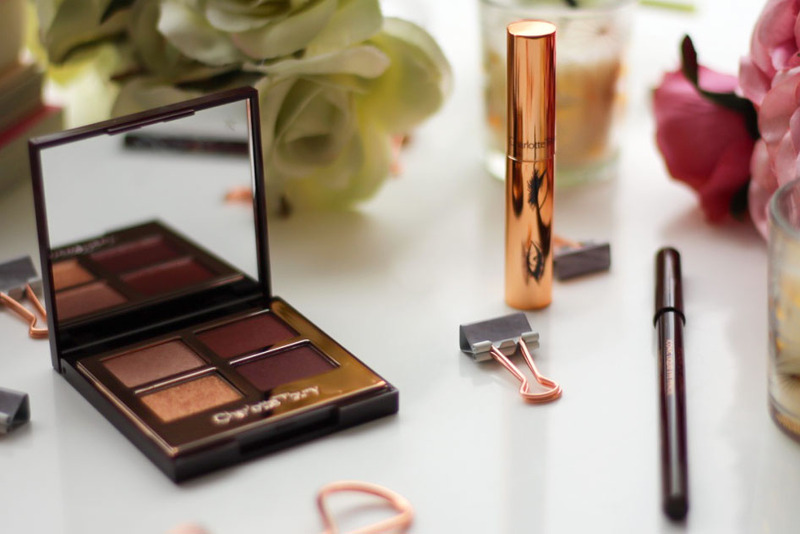 Everything about it screams luxury, from the iconic rose gold packaging, to the beautiful formula's. I'm always lusting after a bit of Charlotte Tilbury makeup and when Feelunique had a gift set on offer, I thought it would rude to ignore it. The Stars of The Red Carpet was an exclusive gift set with Feelunique over Christmas. I can't remember what it was originally priced at, but I bought in the sale for £46, which is a bargain. The set contains a full size The Vintage Vamp eyeshadow palette, a full size Rock N Kohl eyeliner in Barbarella Brown and a mini Legendary Lashes mascara. I told you it was a bargain. I'm so excited to finally have The Vintage Vamp eyeshadow palette in my collection. I love the Dolce Vita palette so I have very high expectations for this one. The shades are just so beautiful, very pink and purple toned. I can't wait to try them out. I've never tried a mascara from Charlotte Tilbury before, so I'm curious to find out how it compares to my more affordable ones. As for the eyeliner, I wear brown eyeliner way more than black so I'm really excited to use it. As always, I'm going to give these three beauties a proper test before reviewing them on the blog. I have really high expectations for anything Charlotte Tilbury so it will be interesting to see if these products are worth the hype.